We offer 1000's of office sizes in many locations and in all price ranges. ​These serviced offices in London Bridge have been refurbished throughout to a modern standard. Overlooking the River Thames, the local area has great amenities close by including shops, restaurants and a fantastic food market that is ideal to take lunch breaks. Meeting rooms and a stunning reception are also at the site. ​This impressive classical building is situated near good transport networks that offer links across London and beyond. With a stylish contemporary feel inside, these Marble Arch offices come in a wide selection of sizes suitable for either start-up companies or larger organisations. Furniture is also supplied free of charge. For companies that want to create a reputable image, this property will dazzle anyone who visits. The interior has been restored to a high-quality finish and period features including fireplaces have been restored to their former glory. There is also a professional team located at the office space in Mayfair to add a touch of class. Situated opposite a mainline train station, these outstanding Euston office rentals come with internet access and telephone systems. Moving in can be done at short notice if needed and short or long-term contract agreements are optional. Security systems are in place and suites have their own private locks on the doors. Providing a wide range of features, this converted school has both bicycle storage and car parking facilities. The offices for let in Waterloo are competitively priced and can be accessed out of hours on request. Boasting a fully equipped kitchen that has a kettle, fridge, and microwave, there are also outside seating areas onsite. ​Ideal for media and creative businesses, this workplace is within a popular and trendy part of the capital. The interior has a relaxed feel and is renowned for its great atmosphere. The warehouse office to let in Shoreditch has vintage furnishings that include private booths, wooden worktop tables, and classical sofas. Have a question about renting an office? We not only help you find your ideal office space, we also offer help and advice on the whole renting process. ​Feel free to ask us a question and we'll get back to you ASAP! Discover office space in the Greater London area including Uxbridge, Harrow, Dartford, Kingston, Twickenham, Sutton, Croydon, and Enfield. Rent offices in various regions in the country including Birmingham, Manchester, Edinburgh, Portsmouth, Nottingham, Cardiff, and Brighton. We offer office space for rent throughout London and the United Kingdom including many major towns and cities. With access to a vast amount of suites up and down the country, our landlords and providers offer a choice of leased, managed, and serviced offices in London to suit any type of business. 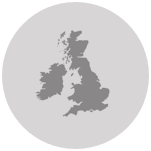 Our locations are the most sought after in the whole of England and we have an extensive range of buildings to choose from and in all styles. 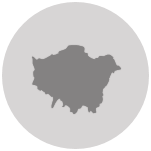 Situated in key locations, most of our workspace are within the inner and outer parts of the capital more commonly referred to as Central and Greater London. The Central region is probably the most desired spots to rent office space out of the two and you will find that this part of the capital is split into three areas known as the City, Midtown, and the West End. These are then further divided into postcode areas that consist of a number of districts including Finsbury, Bloomsbury, the Strand, or Westminster etc. Taking all of these areas into account, when searching for a serviced or leased office, we have devised five search methods on our website. This will not only pinpoint an ideal London office to rent but also provide a comprehensive list of all potential options in that region. We can also arrange viewings for London serviced offices to rent that are of particular interest. We thoroughly recommend taking time to view our locations as they are ideal for companies to carry out a full inspection of the suites available and the buildings facilities. All our commercial workspace in London generally have good transport facilities close by such as the tube underground system, British rail, DLR, bus networks, and taxis. Prices can vary considerably and we provide a wide selection for both affordable and exclusive suites on the market. All our office space for let offer a range of flexible contract terms to suit a particular timescale starting from as little as 1 month and increasing up to 5 years. Both traditional and serviced offices offer various features, amenities, services and facilities allowing companies to hand pick an option that meets their specific needs. No matter how big a company is, we will be able to find the right size London office to rent for your business.